When I learnt from a tweet that Aeropress had launched in India last month, I immediately went to their ebay store and picked up one for myself. 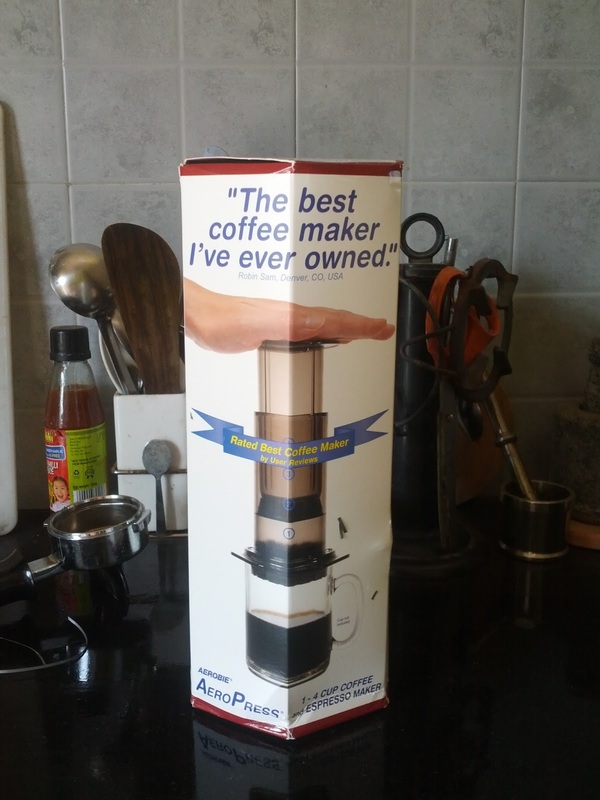 I have been coveting an Aeropress since the past two years, but to purchase it from Amazon would have entailed paying shipping and import fees that equal the price of this $30 product. 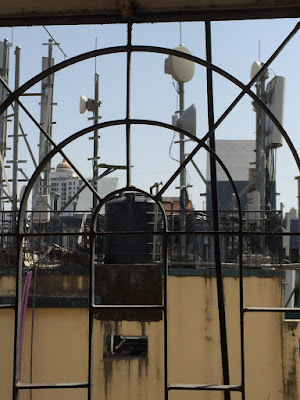 At Rs.2000 in India (plus Rs. 200 shipping), it is a steal, for a simple reason. 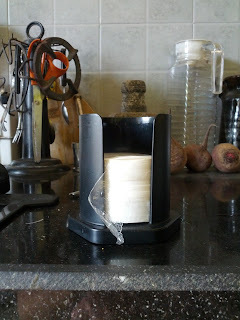 This non-technical, non-electric, not-at-all-gadgety, deceptively simple plastic contraption makes a remarkably good cup of coffee. Way better than the Rs.2000+ electric drip coffee makers, arguably more consistent than my temperamental espresso machine, and light years ahead of the stovetop mocha maker and french press. And it does not require skill or proprietary technique (though if you are technique-oriented, you will find dozens of Aeropress techniques on the web). It takes less than a minute to press out a smooth, rich and flavorsome coffee. I am disappointed to confess that anything so basic works better than a gadget, but it does. And if you don't believe me, read the reviews at coffeegeek or Amazon. The real power of an Aeropress is that it puts the power to make great coffee in anyone's hands, at a budget price. Literally in your hands, because it is a hand operated device. I should also add, at any place, because it is completely portable. 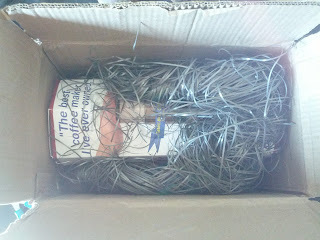 You can take it to work, or to your friend's party, or on a long distance trip and enjoy good coffee, wherever you are. 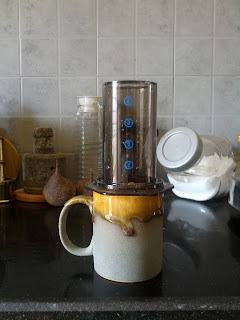 I tried out three newly launched coffees from Blue Tokai Coffee in the Aeropress. I loved the smooth tones of the medium roasted MS Estate Plantation A Coffee. When I compare the same coffee brewed in the espresso machine vs. Aeropress I was really able to get the difference. The Aeropress enhanced the subtle flavor of the coffee and totally eliminated the slight bitterness that is always present in espresso. It brews milder than the espresso machine and it takes a little extra coffee powder to get it to a strength that I like. 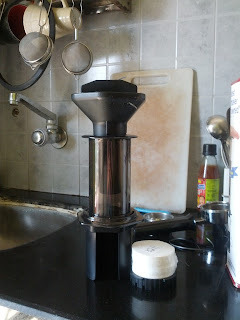 I put the extraction from an Aeropress closer to traditional South Indian filter coffee than to a French press, but the taste is truly unique and different. I strongly recommend that every coffee lover should have an Aeropress at home. My nicely packed Aeropress arrives home!